Donic table tennis rubbers are enjoying great popularity. This brand has a good and manifested position at the global market. 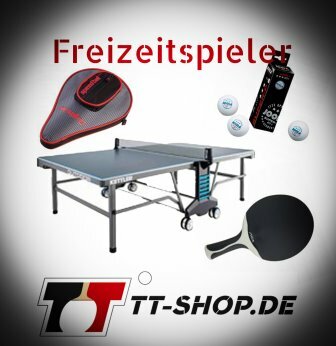 For example, the Bluefire series is very popular everywhere, but also traditional Donic table tennis rubbers without an integrated speed-gluing effect are very popular since many years. Soft: The Donic sponges of this category are soft with an improved control. The development and amount of spin remains unaffected (caused by the topsheet). However, soft sponges lead to a slightly decreased speed. Medium: Medium hard sponges is also called the standard top-sponge. This means that there is not much you can do wrong when choosing such a sponge. The reason for this is that a medium (hard) sponge results in a very balanced behavior between speed, spin, and control. Hard: The harder the sponge, the shorter the ball-contact-time. This means that the balls are faster, however, this happens at the expense of control. controlled, and catchy: These Donic rubbers are pointing toward an increased speed. They are very catchy, and still provide good control. Due to the low elasticity, the catchiness is (clearly) pronounced only when playing slow balls. Topspin balls exhibit relatively little spin-dynamics. sticky: A clear stickiness improves control. Especially when playing slow balls, much spin can be generated! For example, this particularly includes serves, and the first topspin. control-elastic: The topsheet of such Donic rubbers develops a so called spin-elasticity. At the same time, this extra spin feels like having both, more control, and an increased joy of playing. Control-elastic rubbers from the house of Donic are very suitable for players who rely on control. sticky-elastic: The category of these table tennis rubbers exhibit good spin-dynamics. The slightly sticky surface provides good control, and an increased speed. Behind those rubbers, there is a quite sophisticated technology. Hence, such Donic rubbers are rather rare. offensive-elastic: Speed first! That´s the credo of these rubbers. There are only little rubbers available on the market which are equipped with such a topsheet. 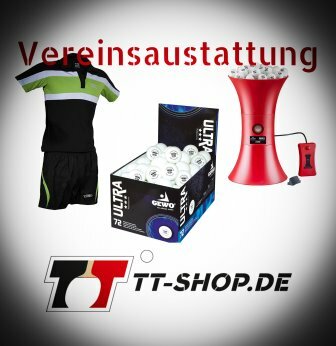 spin-elastic: The table tennis rubbers of this category predominate the market! They drove the version off-elastic from the market, although it is evenly fast, and exhibits a HIGHER potential regarding spin development. 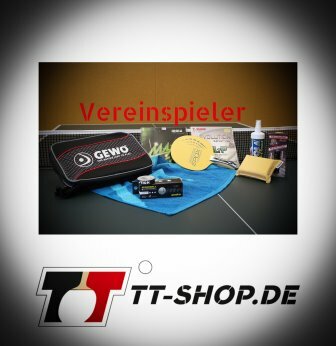 Donic Desto F1 table tennis rubber - Offensive Made in Germany!